The LAB01 features START International’s brand new, patent pending, cyli-SIZE™ technology. Easily label different sized cylindrical products, from .5” (12.70mm) to 6.5” (165mm) in one easy step. Ideal for LAB01 Accessory for Light-Weight Bottles and Containers. Applies appropriate pressure to light bottles & containers to ensure proper label application. 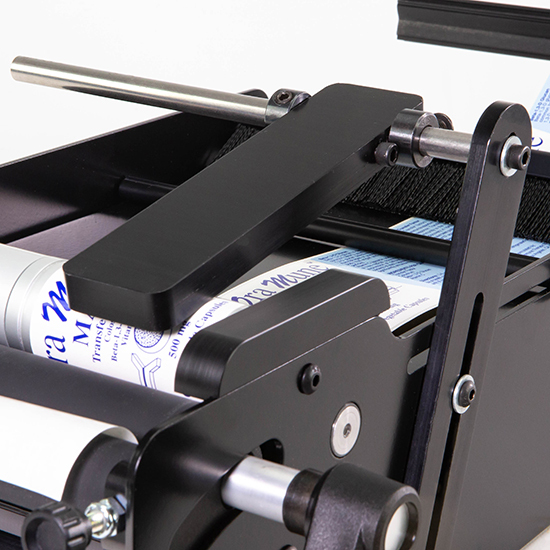 Designed for use with the LAB01 Bottle Labeler. Accessory Only. LAB01 Bottle Label Applicator not included.